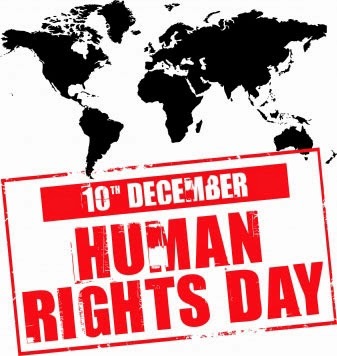 Today is International Human Rights Day in Cuba and over the past several years it has been a day in which the regime in Cuba does not celebrate human rights but carries out systematic and nationwide acts of repression to impede Cuban nationals from observing and celebrating the anniversary of the signing of the Universal Declaration of Human Rights on December 10, 1948. It is a day when human rights defenders are specially targeted in order to silence and terrorize them, but it starts before that. According to independent journalist Robert Guerra in a tweet published on December 4, 2014 state security agents arrested activists in order to threaten them for organizing activities on December 10th. Today at 11:00am EST in Havana, Cuba the Ladies in White have announced that a human rights activity will be held on L and 23. In years passed the Castro regime has organized violent acts of repression to stop activists from peacefully assembling and exercising that fundamental right: the right to assembly. 2014 saw the Castro regime working hard both inside and outside of the United Nations to defend one of the few regimes in the world with a worse human rights record then Cuba's: North Korea. In March of 2014 a United Nations report confirmed that the dictatorship in Cuba had violated international sanctions smuggling weapons to North Korea that included rockets and MiG jet fighters hidden under bags of sugar. At the United Nations General Assembly the Cuban dictatorship worked hard to defend the regime in North Korea leading the fight to to block, the regime's referral to the International Criminal Court for its gross and systematic human rights violations. Thankfully the Castro regime failed on this occasion. Cuba wasn't always this way. 63 years ago Cuban diplomats representing a democratic Cuba assisted in the drafting and passage of the Universal Declaration of Human Rights (UNDHR). Despite the claims of the dictatorship in Havana, the UNDHR is a document profoundly influenced by the Latin American tradition. Amidst the dreary news this year there is one positive item: Yesterday, December 9, 2014 Sonia Garro and her husband Ramon Alejandro Muñoz were released from their arbitrary detention after being unjustly imprisoned for 2 years, 8 months, and 22 days. They are now under house arrest. Amnesty International reported on July 18, 2012 that "Lady in White Sonia Garro Alfonso, and her husband, Ramón Alejandro Muñoz González, were arrested at their home in Havana [on March 18, 2012]: around 50 police forced their way into the house and fired rubber bullets at them. According to her sister, Sonia Garro Alfonso was wounded in the foot by one of these bullets." The same document revealed that "Sonia Garro Alfonso was suffering a kidney problem before her arrest that may require surgery. " Sonia Garro Alfonso and her husband should never have been arrested, much less arbitrarily detained over these past 997 days. The human cost of the dictatorship is difficult to measure but take into account that Sonia and Ramón have a young daughter who has not been able to live with her parents for all this time. Her name is Elaine Muñoz Garro and she is also a victim of the Castro regime's tyranny. All eyes on Cuba today. Human rights defenders, pro-democracy activists and independent civil society need your solidarity and vigilance.